Austin Riley does not have any MLB stats for the season. Draft: 2015, Atlanta Braves, CBAth rd. Michael Austin Riley...Selected by the Atlanta Braves in the Competitive Balance A round (41st overall) of the 2015 First-Year Player Draft...Signed by Don Thomas. Split the season between High-A Florida and Double-A Mississippi, combining to bat .275 (133-for-484) with 71 runs, 41 extra-base hits and 74 RBI over 129 games between the two clubs...Opened the year with Florida and ranked by Baseball America as Atlanta's No. 11 prospect... Transferred to Mississippi on 7/13...Ended the season ranked in the Top 10 among Atlanta farmhands in hits (2nd, 133), home runs (3rd, 20), RBI (3rd, 74), walks (T9th, 43), slugging percentage (T7th, 446) and OPS (8th, 786)...Over the last two seasons, leads Atlanta prospects in RBI (154) and homers (40)...Following his promotion to Mississippi, batted .315/.389/.511 over 48 games...Ranked second in the Southern League in hits (56), tied for fifth in homers (8), and ranked eighth in RBI (27) from 7/13 through the end of the season...Hit 17 of his 20 home runs off right-handed pitchers...Named a Florida State League Mid-Season All- Star...Earned FSL Player of the Week honors for the period of 5/1-7 after batting .462/.483/.846 with three home runs and 10 RBI over seven games...Appeared in 17 games with the Peoria Javelinas in the Arizona Fall League following the season, and batted .300/.364/.657 with 12 extra-base hits and 18 RBI...Was named to both the AFL Fall-Stars Game and to the Top Prospects Team following the fall season...Hit for the cycle on 10/26 with Peoria, going 4-for-6 with three runs and five RBI against Mesa...Logged the first cycle in the Arizona Fall League since 2008. Played his first full professional season with Single-A Rome and batted .271 (134-for-495) with 68 runs, 61 extra-base hits and 80 RBI in 129 games to earn Rome's Player of the Year honors from the organization...Ended the season pacing all Atlanta farmhands in home runs (20), doubles (39) and total bases (237), while sitting in the Top 10 in RBI (2nd, 80), slugging percentage (3rd, .479), OPS (3rd, .803), runs (T3rd, 68) and hits (4th, 134)...Finished second in the South Atlantic League in home runs and doubles, and third in RBI...Opened his sophomore campaign batting just .229 (38-for-166) with a .280 OBP and .367 slugging percentage in his first 43 games before hitting .292/.346/.535 over his final 86 contests...Fourteen of his 20 homers on the season came in his final 45 games, during which he stroked 15 doubles and slugged .632 with 43 RBI...Closed his season on a 19-game hitting streak, batting .361 (26-for-72) with 13 extra-base hits and 20 RBI from 8/16-9/5...Batted .315 (23-for-73) against left-handed pitching, compared to a .263 (111-for-422) mark against righties. Drove home eight runners in seven postseason games, going 6-for-26 (.231) with four runs, two doubles, two homers and three walks as Rome won the South Atlantic League Championship...Posted 36 multi-hit games, including eight three- hit efforts...Fell a triple short of the cycle on 8/11 at Hickory, going 3-for-4 with two runs, one double, a homer and three RBI...Tabbed by Baseball America as Atlanta's No. 8 prospect entering 2016, as well as the "Best Power Hitter" in the system. Split his first professional season between the GCL Braves and rookie-level Danville after being selected by Atlanta with the 41st overall pick in the 2015 First-Year Player Draft...Was named the Danville Braves Player of the Year by the organization after batting .351 (39-for-111) with five home runs and 19 RBI in 30 games with the club, and he combined to bat .304 (66-for- 217) with 12 home runs and 40 RBI in 60 games between the two stops...Led the GCL Braves with seven home runs at the time of his move to Danville, where he proceeded to lead Danville with five homers in 111 at-bats...Paced all Atlanta farmhands with a .933 OPS, while 12 home runs on the season were tied for second-most in the system, despite playing in just 60 games...Also finished in the Top 10 among Braves prospects in average (T6th, .304)...Opened his professional career batting .077 (2- for-26) with 12 strikeouts in his first eight games, before hitting .335 (64-for-191) in his remaining 52 contests on the season...He was named by Baseball America as the "Best Pure Hitter," "Best Power Hitter," "Best Athlete" and as having the "Best Pro Debut" among the Braves 2015 draft class...Also named by the publication as the second-best prospect in the Appalachian League, as well as the 10th-best prospect in the Gulf Coast League at the season's conclusion. 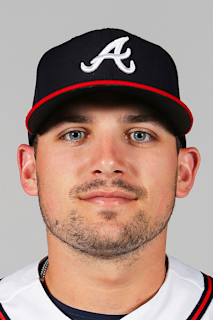 January 28, 2019 Atlanta Braves invited non-roster 3B Austin Riley to spring training. July 12, 2018 Gwinnett Stripers activated 3B Austin Riley from the 7-day disabled list. July 5, 2018 Gwinnett Stripers sent 3B Austin Riley on a rehab assignment to GCL Braves. June 6, 2018 Gwinnett Stripers placed 3B Austin Riley on the 7-day disabled list. May 7, 2018 3B Austin Riley assigned to Gwinnett Stripers from Mississippi Braves. January 26, 2018 Atlanta Braves invited non-roster 3B Austin Riley to spring training. July 13, 2017 3B Austin Riley assigned to Mississippi Braves from Florida Fire Frogs. April 4, 2017 3B Austin Riley assigned to Florida Fire Frogs from Rome Braves. March 4, 2017 3B Austin Riley assigned to Atlanta Braves. April 4, 2016 3B Austin Riley assigned to Rome Braves from Danville Braves. July 31, 2015 3B Austin Riley assigned to Danville Braves from GCL Braves. June 22, 2015 3B Austin Riley assigned to GCL Braves. June 16, 2015 Atlanta Braves signed 3B Austin Riley.